Academy RAD short sleeve leotard for girls by Mondor. This short sleeve leotard is approved by the Royal Academy of Dance (RAD). It is fully lined with polyester and includes a matching belt. It also features Sorbtek® gusset. Practical with exceptional comfort. Cute bodysuit, but fits VERY small. There is only one size for Toddler, my daughter is 2 and I can't even get it up over her shoulders. If you are going to buy this, I would recommend buying at least 2 sizes up. Great quality and it came very fast. They do run on the smaller size I would size up ! Absolutely happy with the purchase. User friendly web-site, great selection, easy to choose sizing charts. Shipped fast. Ordered more from this site already, Will recommend for sure. Again shipped very fast, which I truly appreciate. 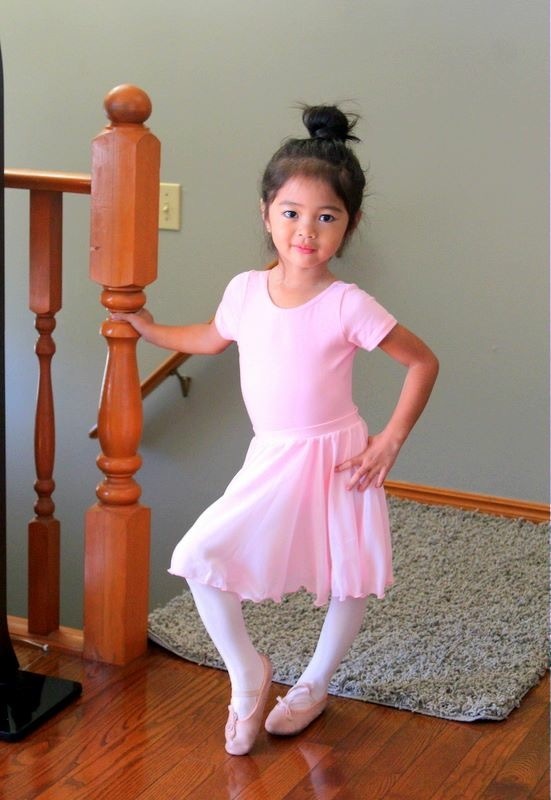 The leotard is great quality, fits great and we love the little elasticized belt.